Tony’s Wife: Book Review By Dinh. 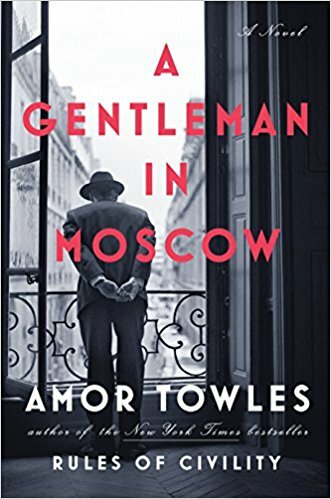 Read summary of Tony’s Wife. 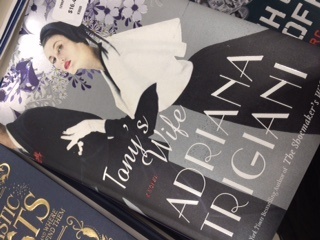 Let me just say that I just love the cover of Tony’s Wife by Adriana Trigiani. The physical aspects of the book was nicely done, from the cover to the inside look of the chapters. This is my first by this author. Going in, I had expected it to be good because she is a prolific writer and a best selling author. Trigiani has written 13 works of fiction, The Shoemaker’s Wife being a well known NY Times best seller, 2 young adult fiction, 2 non-fiction books and 2 screenplays! What a nice way to start the new year with a great enjoyable book! Tony’s Wife was a fantastic read. Here’s why it was so good! I loved the story line in Tony’s Wife. The novel follows Chi Chi Donatelli and Saverio Armandonada who meet at the Jersey Shore in 1938, and later, fall in love and get married. They are a musical couple and as Saverio (aka Tony) and Chi Chi become successful in their musical careers, they must make a choice about where they are heading and building a family. The story spans from Christmas eve 1932 to 2000. I enjoyed the first part of the story more so than the latter part. After the couple got married, the book rushed through too fast. There were so many things that was covered but in little detail. This is my first book by Adriana Trigiani and I must admit that I am very impress with her writing talent. 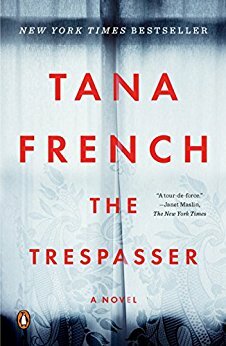 Tony’s Wife was an engaging and entertaining read. The book started off very well and it kept going well. I was pulled into their world and didn’t want it to end. The book was a light read despite its character driven style and 468 pages of it. 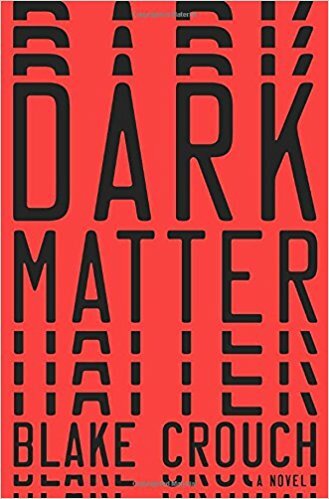 Structurally, there was a nice balance between the descriptive parts and the dialogue. Some of the song lyrics made it into the pages too. Trigiani did a great job in capturing the ‘mood’ of the time period. I specifically enjoyed the food, music and dialogue in the novel. It brought the book alive and it gave the book an authentic feel. 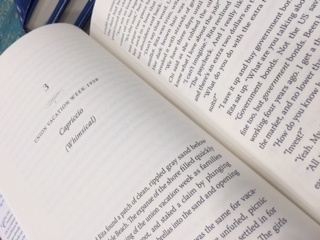 Moreover, I liked that the chapters had Italian names, such as Feroce (fierce), Risoluto (bold) Capriccio (whimsical), Accelerando (push) etc., which related nicely to what was happening in the novel. I liked the way the story explored the American-Italian culture. Both Tony and Chi Chi are from a working class family. Tony worked in the Ford Rouge factory in Michigan before he got his musical career going and Chi Chi worked at a blouse factory in New Jersey. Tony’s and Chi Chi’s family are very typical American- Italian. I know many American-Italians (and married one) so I can say that Trigiani portrayed the stereotype traditional American-Italian culture well. There’s some grain of truth in stereotypes. Regardless of the culture, some of the themes in the book made for an interesting read. For me, Trigiani highlighted the flaws of human nature. Both Chi Chi and Tony are not perfect so they make bad choices. Tony made lots of bad choices, one after another with all his three other wives. Chi Chi was smart enough to realize her bad choices and not make matters worse by remarrying. Trigiani main characters, Tony and Chi Chi, were developed really well, and the supporting characters were also very good. Chiara Donatelli, or Chi Chi, was an amazing character. I just loved her sassy personality. Smart, honest, and funny. She was also strong and hard working; whether it was taking care of the family finances, her career or her family. She remained grounded throughout the book and success never led her astray. I liked how she always came back to what was important to her. Family. I also enjoy Tony Arma‘s character but felt that his story was not explored enough in the second half of the book. I liked Tony too but at times I didn’t like who he became. He was a womanizer and Chi Chi knew that but she still fell for him. He was a handsome man with great voice, they got on well and they had chemistry. I really enjoyed the realistic and complex nature of Tony and Chi Chi’s characters and their marriage. Life is not always bed of roses and the ups and downs of their relationship reflect this. Tony was flawed and you will discover that when he cheats on Chi Chi. Tony had too many opportunities and advances from woman to resist. He was away from his wife and kids for long periods and the temptation was too much. Plus he was a womanizer. Chi Chi is also had flaws as well. She managed her career and finances and gave up her dream so Tony could have his. She chose family over her career. She compromised her dreams for her husband. Perhaps maybe she could have thought of something that was more in her favor? I guess this still resonate with lots of women today who give up their careers for family. It was a good ending. I loved the life journey with Chi-Chi and Tony from the start of their musical career to Tony’s ending. It was heart-warming ending, with reflections on the good things that they had together. I liked how Trigiani tied the title of the book to the rings at the end and a song that Chi Chi finished. That was a very nice touch! It was also a nice surprise as I assumed the title of the book was because Chi Chi married Tony and therefore she was Tony’s wife. 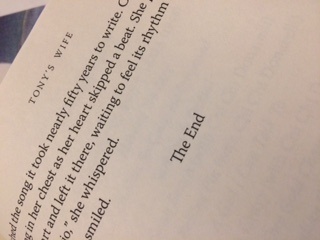 Tony’s Wife by Adriana Trigiani was an engaging and entertaining read. I love the sweeping historical time period from 1930s onwards. The story line of the two main characters was awesome. The love story may be predictable but it was realistic. I highly recommend Tony’s Wife! Get your copy here. Or listen to it for free with an Audible trial. Belong to a book club? Check out Tony’s Wife book club discussion questions! It sounds like you were able to really love your first book by this author. I am surprised that the character driven novel is so long but never dragged once and that the storyline was so strong. 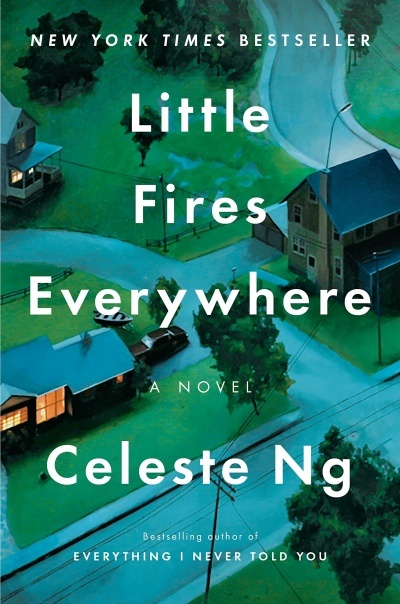 The writing sounds so well done and it seems like all those novels the author has are worth their praise. I hope you’ll enjoy reading another book by them soon, again 🙂 Great review! Adriana Trigiani is a very talented author. I can’t believe she has written so many books. I hope her other works are as good as Tony’s Wife! I really liked Tony’s Wife. Overall I like the story, even though I think it could have been shortened. I don’t think I would have gotten through the whole book in a few weeks if it wasn’t for Audible. It brought back memories of macaroni and sauce on a Sunday when the family always got together. It made me hungry for the easier days of my childhood growing up in NJ and Sunday dinners at Grandma’s house and my Italian family. Overall, I loved Chi Chi. She is a strong female character, who figures out how to take care of herself and plans for her future come what may. She’s practical, yet vulnerable and hers is a love story that is so typical of relationships no matter what year 1942 or 2019. Her love for Saverio is deep and everlasting, yet she knew she couldn’t be with him in the traditional sense, but he was such a jerk to her! All that Saverio said to his mom, that if he found a girl he would love her and never take her for granted, like he felt his dad did. So can a broken heart cause you to become a flake and a player and hurt his one true love Chi Chi?? I felt so sorry for his character and I think Chi Chi did too. That’s why she took care of him all those years despite the break up of their marriage. Then I felt sorry for Chi Chi that she had to put up with him and his love affairs! I loved Tony’s Wife! I liked that it was set in the big band swing era and centered on American Italian culture. I think Chi Chi’s reluctance to married Tony in the first place gave us an indication that she may not be 100% happy in the future. She’s very smart but when it comes to love we all can make mistakes. They loved each other but were not compatible. Did you think that Tony changed in the latter parts of the book? I felt that Tony was going to be a good husband from what he was like as a young man, not a jerk that he became. Do you think he became his dad? Leone, his dad treated his mom Rosario poorly. The women in this book put up with a lot! I do think Saverio became his dad. I didn’t like that he changed just because his heart was broken by the first girl, I forget her name Darlene?? Anyway, your’re right, love makes us do crazy things, even push away the one we love most. I think Saverio is a classic case of “I want to get close, but when you get too close, I’m outta here”. Chi Chi was the only person he never really wanted totally out of his life because she represented the life he dreamed of, with family and good simpler times. I think they were very compatible, but Saverio didn’t have the heart to be the strong one, and despite Chi Chi’s strength, she longed to be taken care of and he just didn’t know how to do that. I wish I had gotten the paper copy, because it looks like it came with a CD? I so wanted to actually hear the songs they sang. One con of the audio version of this particular book. I don’t think there was a CD that came with the book. I read the hardcover and listened to the audio book but didn’t see anything. I know that the author wrote the lyrics and song titles in the book but I don’t think she had it produced. She’s very talented and I could imagine the songs and how they might have sounded. Sounds like a good read. 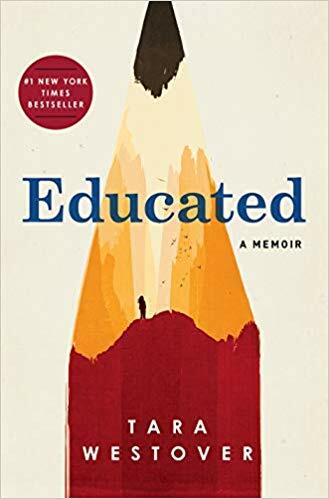 Would you recommend this book for high school students? In which literary genre would you say this book belong? “and gave up her dream so Tony could have his..” This quotation explains the title. Note she is not called by her name, but, rather identifies with Tony. Tony’s wife was a fun and entertaining read. I think some high school kids may enjoy this historical fiction. The title refers to the wedding rings and what is inscribed on it. Chi Chi was Tony’s wife and she sacrificed her career so he could have his. Choices was a main theme in this book. I suggested it to a child, who reported that she found it in the public library and enjoyed the read. Thanks for sharing. Oh, so glad to hear she enjoyed it!